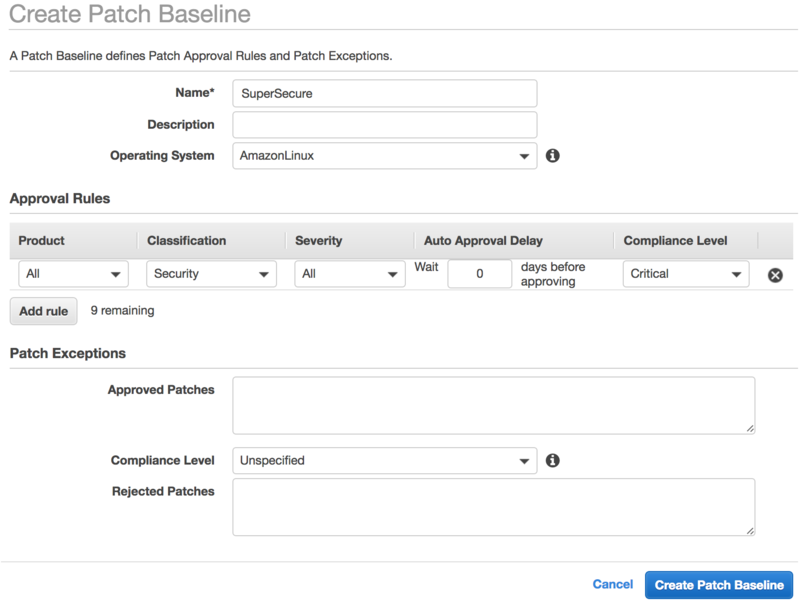 Hot on the heels of some other great Amazon EC2 Systems Manager (SSM) updates is another vital enhancement: the ability to use Patch Manager on Linux instances! When I think about patching a big group of heterogenous systems I get a little anxious. Years ago, I administered my school’s computer lab. This involved a modest group of machines running a small number of VMs with an immodest number of distinct Linux distros. When there was a critical security patch it was a lot of work to remember the constraints of each system. I remember having to switch back and forth between arcane invocations of various package managers – pinning and unpinning packages: sudo yum update -y, rpm -Uvh ..., apt-get, or even emerge (one of our professors loved Gentoo). Even now, when I use configuration management systems like Chef or Puppet I still have to specify the package manager and remember a portion of the invocation – and I don’t always want to roll out a patch without some manual approval process. Based on these experiences I decided it was time for me to update my skillset and learn to use Patch Manager. Patch Manager is a fully-managed service (provided at no additional cost) that helps you simplify your operating system patching process, including defining the patches you want to approve for deployment, the method of patch deployment, the timing for patch roll-outs, and determining patch compliance status across your entire fleet of instances. It’s extremely configurable with some sensible defaults and helps you easily deal with patching hetergenous clusters. As you can see above I only have a few instances in this region but if you look at the launch times they range from 2014 to a few minutes ago. I’d be willing to bet I’ve missed a patch or two somewhere (luckily most of these have strict security groups). To get started I installed the SSM agent on all of my machines by following the documentation here. I also made sure I had the appropriate role and IAM profile attached to the instances to talk to SSM – I just used this managed policy: AmazonEC2RoleforSSM. Now I need to define a Patch Baseline. We’ll make security updates critical and all other updates informational and subject to my approval. 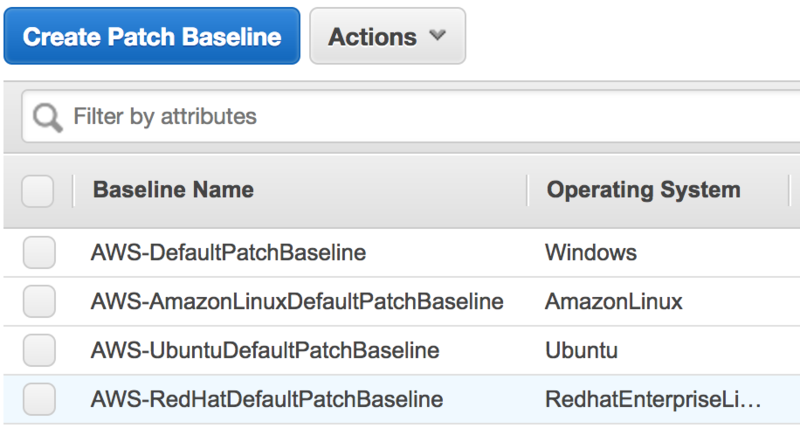 Next, I can run the AWS-RunPatchBaseline SSM Run Command in “Scan” mode to generate my patch baseline data. 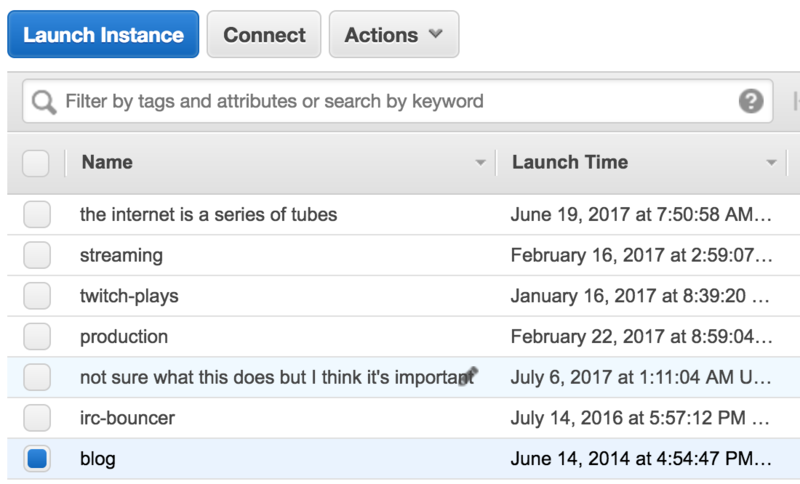 Then, we can go to the Patch Compliance page in the EC2 console and check out how I’m doing. Yikes, looks like I need some security updates! Now, I can use Maintenance Windows, Run Command, or State Manager in SSM to actually manage this patching process. One thing to note, when patching is completed, your machine reboots – so managing that roll out with Maintenance Windows or State Manager is a best practice. If I had a larger set of instances I could group them by creating a tag named “Patch Group”. 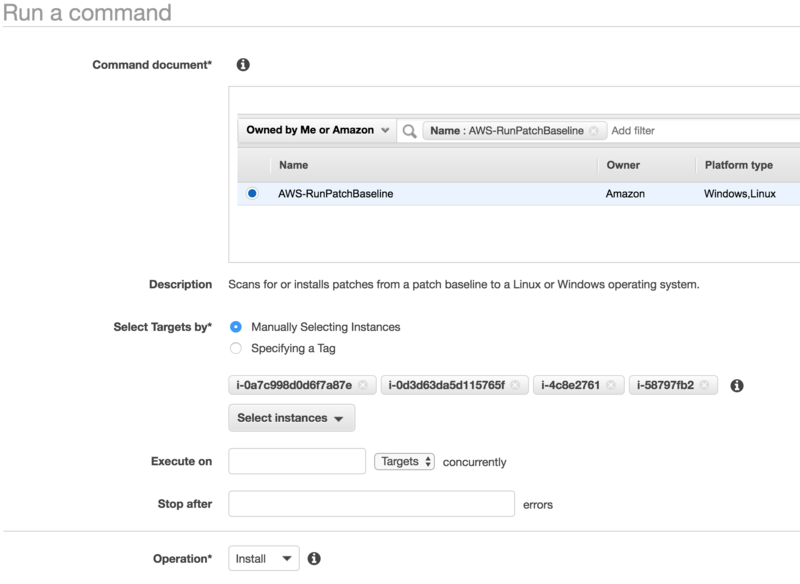 For now, I’ll just use the same AWS-RunPatchBaseline Run Command command from above with the “Install” operation to update these machines. As always, the CLIs and APIs have been updated to support these new options. The documentation is here.